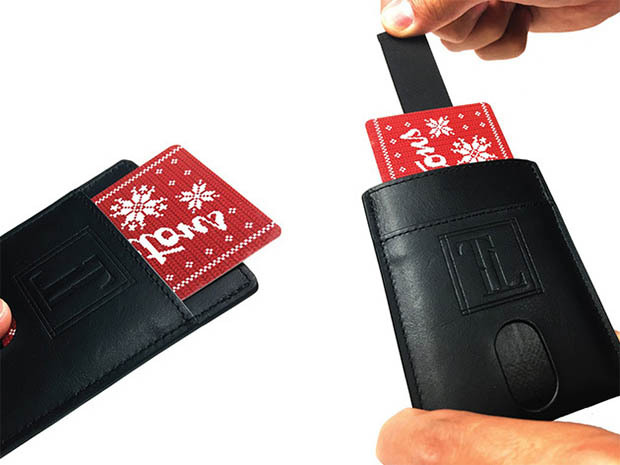 A slimline leather wallet that holds up to seven cards plus cash. 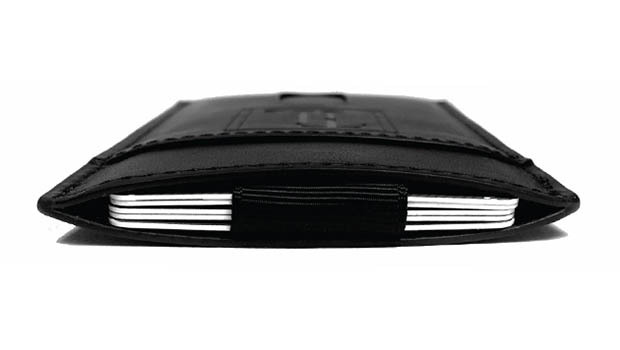 Easily access cards with the pull-out tab and side thumbholes, and rest assured your data is safe from RFID scanners. Save 35% in The Awesomer Shop.